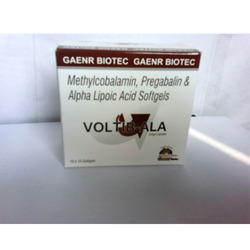 We are engaged in trading and supplying a wide array of Pharmaceutical Capsules. 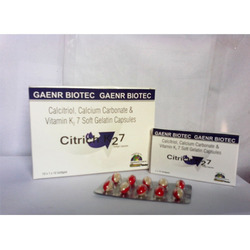 This range includes Pantoprazole & Domperidone Capsules, Rabeprazole And Itopride Capsules, Calcitriol & Zinc Capsules, Clindamycin Capsules, Lycopene Lutein & Minerals Capsules and many others. Sourced from the established names of the industry, these clinically tested products conform to the defined parameters of the industry. 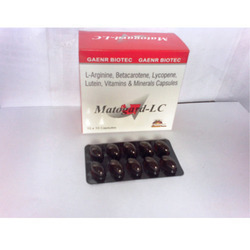 We have been able to offer a premium quality range of Antiulcerant Capsules to the customers by the help of our procuring agents. 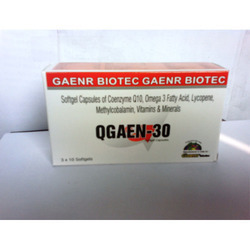 Our procuring agents have perfect knowledge about the demands of medical sector and they procure the drugs accordingly. 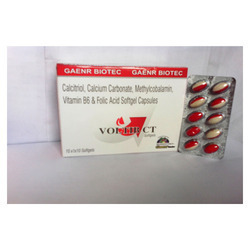 In addition to this, we ensure to provide these capsules on certain quality standards before their dispatch. 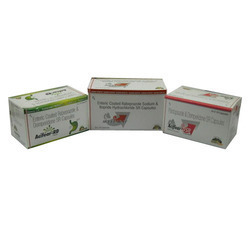 We offer a high quality range of Respiratory Capsules to the customers in standard as well as customized packaging. 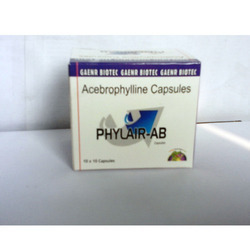 These capsules are formulated using quality-tested ingredients, at the vendors' state-of-the-art infrastructure. 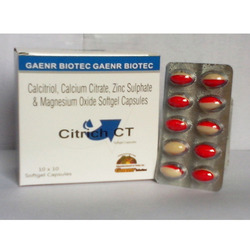 Moreover, they employ latest technology and advanced machinery to formulate these capsules at the vendors' end. 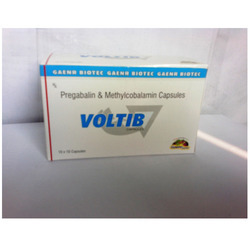 We are engaged in trading and supplying a wide array of Pharmaceutical Capsules. 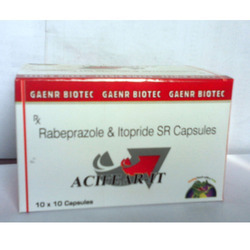 This range includes Pantoprazole & Domperidone Capsules, Rabeprazole And Itopride Capsules, Calcitriol & Zinc Capsules, Clindamycin Capsules, Lycopene Lutein & Minerals Capsules and many others. For real peace of Good Health with Complete Health for Healthy Life. Post Postmenopausal Osteoporosis, Hypocalcemia, Osteocalcaemia, Drug induced Osteoporosis, General Weakness. 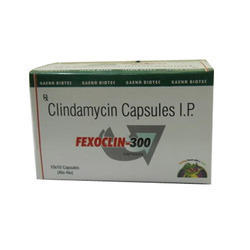 We are instrumental in offering superior quality Antibiotic And Anti Infective Capsule to the customers. 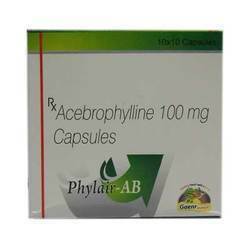 The capsules are made available to the clients in different combinations so that doctors can recommend these as per patients' need. Moreover, we ensure to fulfill the bulk & urgent requirements of our clients by the large production capacity of our procuring agents. Dr when acid peptic disorders become a prime issue. Please rx (prescibe)acifear –it. Dr when patients come to you with problems like Gerd, Dyspepsia, Acidic Peptic Disorders, Gastritis. A real smile can come with and there is real & good health. Partial-onset seizures, fibromyalgia, postherpetic neuralgia, generalised anxiety disorder, neuropathic pain from diabetic neuropathy, osteoporosis,stress and fatigue, pernicious anemia, coronary heart disease. 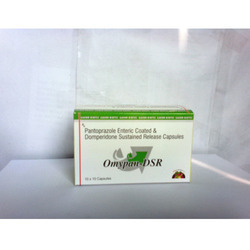 (Pantoprazole 40mg + domperidone 30mg)(sr) sustained release). freeze down the stomach fire with acifear-dsr capsule. 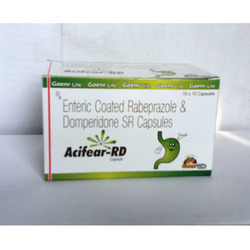 Acifear-dsr contains pantoprazole 40mg + domperidone 30mg)(sr) sustained release. 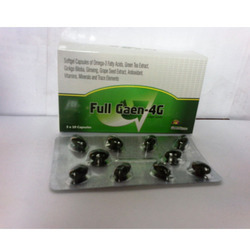 patients with indigestion and excess acid, nausea and vomiting, reflux disease, gastro- oesophageal reflux disorder, acid regurgitation, peptic ulcer, gasric ulcer.